The tire has a relevant role in the daily lives of people, either in the transport of cargo or passengers, however, your inadequate disposal carries a wide range of health problems, as well as the environment. Noting this problem, sought to incorporate such material into the composition of asphalt coatings, this practice has been applied recently in Brazil. It is an investigation of the exploratory and descriptive type for which it has been developed a literature review. We used 10 articles published in journals from 1991 to 2015, as well as books published 09 between 1993 to 2015. It appears that the use of this methodology brings certain advantages such as the reduction of aging by oxidation, increased flexibility and the lifetime by up to 30%, in addition to the grip and the comfort of the user. Even with all these asseverações, Brazil must still invest constantly in the implementation of a more qualified management with respect to environmental regulations, so that it will be possible to reuse the rubber as economically viable and method effective. Keywords: recycling, asphalt pavements, milling. According to Bertollo et al., (2000) "the natural environment represents the product of the dynamic interaction of abiotic and biotic processes, under varying intensities and range in time and space". More specifically, the environmental balance is often directly affected by human interference, which may be reversibly, as well as irreversible, and this on a larger scale in the contemporary period. The construction is an area of expertise that ends up interfering diametrically in environment, since it consumes natural resources distinct, often non-renewable resources, and the environment. erroneously launches Complementing such quotation, Cury et al., (2015) asserts that this excessive consumption causes environmental impacts, degrades the quality of life of the population and the existing infrastructure. Campos (2007) reports that there was an uncontrolled growth in the acquisition of cars and, through this process, it was possible to check the emergence of extremely harmful consequences, such as the degradation of the environment, which is caused by launch of tires in inappropriate locations, as well as by the asphalt paving of quality wear inappropriate. According to Martins (2015), Brazil generates around 30 million tires without use, where they are sent underground deposits, however, with the development of new technologies it is possible to use these materials as rubber sprayed, in which can be directed as raw material of asphalt modifier. Thus, the asphalt-rubber, which is nothing more than the result of a process that leverages useless tires that are released into the environment to be used in the manufacture of asphalt concrete. Tchobanoglous et al., (1993) States that, "Although it is a more expensive process compared to the conventional, asphalt rubber presents as a characteristic increasing the durability and flexibility of the final product, thus contributing to the reduction of the costs of periodic maintenance ". Cury et al., (2015) confirms that the large presence of environmental and economic benefits are sufficient justifications presented for the employability of this methodology in all Brazil. Of a more comprehensive, roads with rubber in your composition are more resistant, durable and less brittle, i.e. offer opposition to cracking, besides having a shelf life of 10 years. The making of this research is justified due to the fact that while they have environmental, economic and social damage with waste alastrados erroneously in the environment, you can have great expectations regarding the reduction or even elimination in origin, to reuse and recycling, as a result of the losses and thus slow down the number of waste to be arranged. This analysis aims to achieve a general literature review on the use of tire rubber in asphalt pavement, thus demonstrating to your historical contextuality, as well as the benefits and harm presented by then. It was a bibliographical survey of descriptive and exploratory character, with a qualitative approach. The materials used were obtained in database Scielo (Scientific Electronic Library Online), totaling 10 articles published between 1991 way to 2015, which were selected according to the following criteria: 1) full papers published in online journals; 2); 3) treat the theme directly. Besides these, there was also the need of inserting 09 books published between 1993 to 2015, which were elected because they have great importance in the academic area. According to Medeiros (2003), the literature search is a type of study that seeks to secondary sources, i.e., a survey of printed materials, such as magazines, newspapers, theses dissertations, among others, as well as periodicals available on the internet. Complementing such quotation, Gil (2010) points out that "… the main advantage of bibliographical research lies in the fact that the researcher to cover a much broader range of phenomena than you could search directly. After the search of all materials above if initiated the assessment thereof for the purpose of answering the objectives of the study. As Minayo (2008), all materials were read, elected, equipped and categorized. From the analysis of all your content, interpretation, and, from then on, the clear and concise drafting the final text. Seeking to facilitate interpretation and analysis by the reader, this work was divided into chapters, being chapter 1 for the introduction, 2, 3 analyses the final conclusions and the bibliography 4. Is valid to note that Chapter 2 consists of secondary sections, where it was described succinctly the story of this methodology, the method of incorporation of tire rubber in asphalt and the benefits and harms found in current literature. Second Lion (2013), the asphalt-rubber or ecological asphalt was developed by Charles h. McDonald, in 1960, United States. This scholar noticed that the tires when crushed gave rise to an elastic material, which could be used in asphalt, with the purpose to fix some problems, such as flexibility and durability. However, even showing all these advantages, this mechanism was only really enjoyed in the 20th century, when your cost of production enabled your use of economical way. In 1991, in the United States, the ISTEA (Intermodal Surface Transportation Efficiency Act) informed about the importance of employing the rubber on asphalt composition, however this was only possible from the 60, where were inserted approximately 2 million tires in practice (TCHOBANOGLOUS et al., 1993). Complementing such quotation, Cury et al., (2015) informs you that the mixture with rubberized asphalt has presented beneficial results in comparison with the traditional. Thus, the State of California has released this methodology, that is, when it was incorporated into the rubber on asphalt composition, could reduce the bituminous layers on 50%. The Environmental Agency (EA-UK) stated in some academic publications, only in the year of 1997, the world consumed about of 16.7 million tons of rubber, with over 60% of this value is related to synthetic rubber (CURY et al., 2015). According to EPA (1991), "… reuse of rubber on asphalt consumed until 1990, approximately 1 million tires per year. In Brazil, the State of Rio Grande do Sul was the pioneer in this regard, as built, in 1991, a stretch of about two kilometers long with the rubber already present in your composition, however the greatest work is the Anchieta-imigrantes System , State of São Paulo, which was administered by the concessionaire Ecovias (MAXSON; GRECA, 2003). According to the aforesaid author, asphalt-rubber was applied in the Anchieta System with a range of different aggregates, which make the pavement more wrinkled, however this roughness changes positively track stability in situations of speed, in addition to prevent hydroplaning and spinning out from the excess water on the runway. The Government of Rio de Janeiro, noting the benefits coming through this work, published in 2011, a decree which authorized the employability of ecological asphalt on their highways such as highway linking Cachoeiras de Macacu the Guapimirim (Lion, 2013 ). 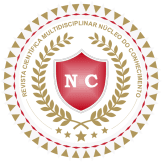 Another important factor to be highlighted is that the use of rubber in asphalt floor was literally passed in 1999, by establishing the National Council for the environment (CONAMA). Martins (2004) reports that "… resolution No. 258 of CONAMA determined that, from January 1, 2002, the manufacturers and the companies that import tires were responsible for the collection and final disposal, in a manner relevant to environmental scrap tires in Brazil ". Today, we can say that our country, in particular Petrobras Distribuidora, dominates the production, transportation, technology and product application. The asphalt-rubber arrived in August 2001, asphalting the BR-116, stretches between Guaíba and Barra do Ribeiro, in the State of Rio Grande do Sul (MENDES; Nunes, 2009). As the recycling of tyres became an obligation imposed by the CONAMA, saw the possibility of a benefaction of the ligands with the insertion of rubber from tyre not used. More specifically, the use of rubber tires ground or even powder is an appropriate solution environmentally speaking, since it is possible the removal of scrap tires improperly released into the environment (WICKBOLDT, 2005). Martins (2004) confirms that "asphalt-rubber is a compound of petroleum asphalt cement CAP, ground rubber tires-BMP, solvents and some special additives when necessary". When inserting the rubber, asphalt becomes more permeable, flexible, durable, UV-resistant and much safer and comfortable for drivers. According to Housecleaning (2002), the tire rubber is a Vulcanized rubber, which can be a very beneficial modifier in relation to asphalt binders and this process is possible through two processes, i.e. through the "dry" process or even by "process moist ". The dry process is indicated for hot asphalt mixtures, whether open or closed type. What matters is that it should not be used in other types of floors like the cold asphalt mixtures, closing of cracks or surface treatments. In fact, this methodology is a means of being fine aggregates, replacing since the rubber particles may be added to aggregate even before the addition of the asphalt cement (MARTINS, 2004). Cury et al., (2015) reports that "the structural properties of asphalt mixture produced by dry process which arouse greater interest are the stability, fatigue life, the resilience, susceptibility to permanent deformation and behavior as to the propagation of cracks ". In the wet process rubber particles are incorporated into asphalt mixture, but the asphalt cement before it is added to the aggregate. Is valid to note that this method can be used in hot asphalt mixtures, sealants, surface treatments, stress absorbing membranes, crack sealing, among others (MARTINS, 2004). Complementing such quote, Cleaning (2002) States that it is still possible to check a third process, namely, the mixed, consisting of a job very close to the dry process, however, there is the use of a modified Binder with rubber. In asphalt mixtures, there are two processes: the wet process and the dry process. In the wet process are added to rubbers with particle size 0.6 mm oil asphalt cement – CAP, producing a new type of ligand named "asphalt-rubber". In the dry process, rubber particles replace part of asphalt aggregates. 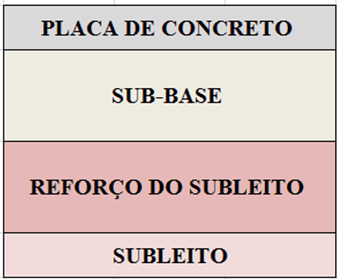 After the addition of the ligand forms a product named "asphalt concrete modified by the addition of rubber" (LAGARINHO, 2008). Greater friction between the tire and the ground, thus minimizing the risk of accidents. Mendes Nunes (2009) report that some evils are also checked as, for example, the need for special equipment, increased pollution, work in high temperatures, precision of skilled professionals and technological control more discharged. Complementing such quotation, Di Giulio (2007) argues that this methodology has received an inappropriate name, i.e. "ecological asphalt". For this author, the higher the temperature of the asphalt mixtures machining, the worse the air pollution caused by the presence of products present in the asphalt. The asphalt-rubber helps to minimize the problem of inadequate provision of tires, but be called "ecological asphalt" was a marketing ploy of some companies, many of which don't make investments in its industrial plants to minimize the air pollution (and are not charged by environmental agencies). So, resolved a problem at the same time that caused another, namely, the environmental problem still remains (DI GIULIO, 2007). Specht (2007) ensures that, even if it is necessary the use of high temperatures, it is clear that there is no harm to workers ' health, as well as not pollute more than the conventional, but the traditional care should not be forgotten. Already in relation to the pollution, the United States, old users of this method, already use filters that prevent the release of smoke from fuel and stone dust into the atmosphere, therefore, this factor is not something to be discussed. It is important to note that the use of this type of methodology is only possible through the acquisition of an environmental license, i.e. nothing is accomplished without the supervision of the public sector. The technology employed on modification of asphalt binders by the addition of rubber from tires in disuse is something extremely interesting because, besides providing a fantastic performance by Binder, this method embeds in your objective a valuable ecological resource, that is, it decreases the improper disposal scrap tires. In other words, the addition of rubber tires, when applied in paving works, can raise the durability of roads and streets, as well as provide greater viscosity, elasticity, resistance to sunlight and comfort for the user. In relation to the malevolent, it turns out that these exist, but the benefit is much more favourable to the population throughout your environment. Another factor of great importance and should be assessed is the value of deployment, since it is still much higher compared to conventional asphalt in approximately 30 to 40%, and that occurs due to lack of knowledge of the business and tax incentives. In short everything that was exposed, the Brazil must still invest constantly in the implementation of a more qualified management with respect to environmental regulations, so that it will be possible to reuse the rubber as economically viable and effective method. In addition to these factors, it is important to highlight the huge need for academic publications dealing with the theme, for the dissemination of information among students favors the growth of employment of this method. BERTOLLO, N. A. M.; J. L. FERNANDES JÚNIOR; L. B. BERNUCCI; E. MOURA. Laboratory evaluation of Dense Asphalt Mixture modified with addition of rubber, transport, v. 10, n. 1, p. 65-83, 2000. Fields, j. b. 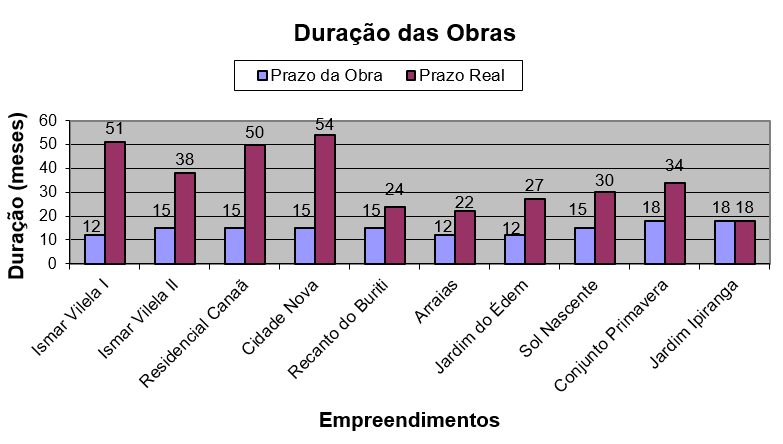 Four Years of observation of the Experimental Track of Ceará. XIII Congress of research and teaching in transportation, ANPET, São Carlos, 2007. CURY, M. V.; MURTA, L. N.; FIGUEIREDO, L. H. F.; MONTENEGRO, L.C.S. Socioeconomic and environmental analysis for the use of rubberized asphalt in the construction of highways, 2015. Available in: <http: marcusquintella.com.br/sig/lib/uploaded/producao/asfalto.pdf="">.</http:> Access in: 06/06/2018. DI GIULIO, g. environmental and economic Advantages in the use of rubber in asphalt. Inovação Uniemp, Campinas, v. 3, n. 3, jun. 2007. EPA-United States Environmental Protection Agency. Markets for Scrap Tires. (EPA/530-W-90-074A), 1991. Available in: <http: www.epa.gov/osw/conserve/materials/tires/tires.pdf="">.</http:> Access in: access at: 09/06/2018. Cleaners, A.L. Laboratory Study of the performance of Asphaltic Concrete Hot machined Using asphalt-Rubber Type Ligand. Master's thesis, EESC, São Carlos, SP, Brazil, 2002. LAGARINHOS, Carlos Alberto F.; Tenorio, Jorge Alberto S.. Technologies used for the reuse, recycling and energy recovery of tires in Brazil. Polymers, São Carlos, v. 18, n. 2, 2008. Available in <http: www.scielo.br/scielo.php?script="sci_arttext&pid=S0104-14282008000200007&lng=en&nrm=iso">.</http:> Access in: 09/06/2018. Lion, l. f. c. benefits of using granulated rubber in public works, 2013. Available in: <http: www.sinicesp.org.br/materias/2013/bt08a.htm="">.</http:> Access in: 08/06/2018. MALIK, H. F. The use of tire rubber in asphalt pavement, 2004. Available in: <http: engenharia.anhembi.br/tcc-04/civil-14.pdf="">.</http:> Access in: 08/06/2018. Martins, l. Evaluation of asphalt mixtures with incorporation of recycled rubber tires. Master's thesis. Rio Grande do Sul, Brazil: Universidade Federal do Rio Grande do Sul, 2015. Medeiros, j. b. Scientific Writing: the practice of fichamentos, abstracts, reviews. 5. Ed. São Paulo: Atlas, 2003. Mendes, Melika Santana; NUNES, Luiz Carlos R. Potential use of used tires in Asphalt Paving in Brazil, Brasilia, University of Brasilia-UnB, 2009. MINAYO, Maria Cecília de Souza (org.). Social research: theory, method and creativity. 21. Ed. Petrópolis: Vozes, 2008. MAXSON JR., A.; GRECA, M. R. Considerations related to ecological asphalt-Ecoflex. Handout about Asphalt rubber, Engineering Institute of Paraná, 2003. SMA/SP – the Environment Secretariat of the State of São Paulo in Brazil. Environmental documents: environmental education. São Paulo: Governo do Estado de São Paulo, 2008. Available In:<http: www.ambiente.sp.gov.br/vernoticia.php?id="204">.</http:> Access in: 09/06/2018. SPECHT, l. p. Evaluation of asphalt mixtures with incorporation of recycled rubber tires, doctoral thesis, UFRGS, Porto Alegre, RS, Brazil, 2007. TCHOBANOGLOUS, George; THEISEN, Hilary; VIGIL, Samuel A.; VIGIL, S. A. Integrated Solid Waste Management. New York: McGraw-Hill, 1993. WICKBOLDT, H. F. The McGraw-Hill Recycling Handbook. New York: McGraw-Hill, 2005. Civil Engineer from the Federal University of Rio Grande do Norte, 2003; Doctor in Geotécnia from the University of Brasilia, 2013. A brief Background on the topic "Innovation in the public sector"